The dog was shot and killed after charging at the officer. BATTLE CREEK, Mich. - A loose and "aggressive" dog was shot and killed in Battle Creek Monday morning. 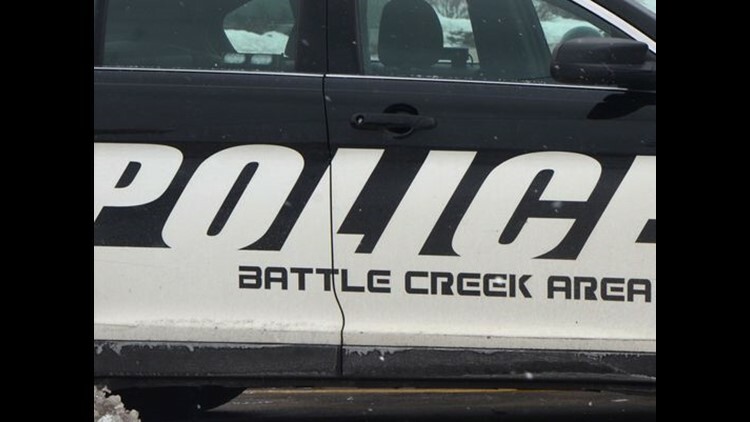 According to the Battle Creek Police Department, officers received a call around 8 a.m. that two dogs were loose in the area of Illinois Street and Lathrop Avenue. The caller told authorities that she was bitten by one of the dogs and that afterward, the two of them ran off toward children at a nearby bus stop. The caller suffered minor injuries, according to a release from the police department. When officers arrived on scene they found the two dogs attacking another dog in a backyard. They ran off and were then tracked to another backyard by a different neighbor. As officers were walking into the backyard, one of the dogs -- which the department referred to as pit bulls in the release -- charged at the officer. The police department says the officer shot at both dogs, killing one of them. The other dog was eventually rounded up by its owner. The police department says the incident is still under investigation.